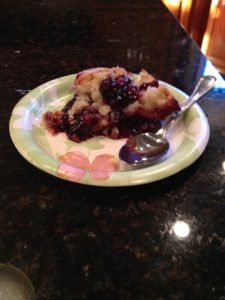 This cobbler recipe is as southern as they come and will have you smacking your lips within seconds! Imagine walking into Grandma’s house and smelling sweet dough in the oven, knowing it will be coming out the oven any minute and you’ll have the opportunity to taste it soon. Just smelling it makes a person talk like a Cajun and helps you remember your roots quickly! I remember Mom Nolia asking the grandchildren to pick blackberries for her in the pasture behind the house and when they returned she promised to make tarts and/or a cobbler for them. It was their reward! Although I don’t have Mom Nolia’s recipe, I do have Mrs Kelly Broussard’s ole fashion cobbler recipe that looks and tastes just like I remember. I doubt you will be able to find a recipe that tastes better than this one. 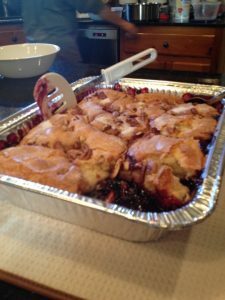 It’s the kind of cobbler made with a lot of love and there are no short cuts. This recipe is done the ole fashion way and not the easy way (commonly done with biscuits that are cut up in a pan). Honestly, it’s not difficult to do, even though it’s the old fashioned rolled out crust type of cobbler. 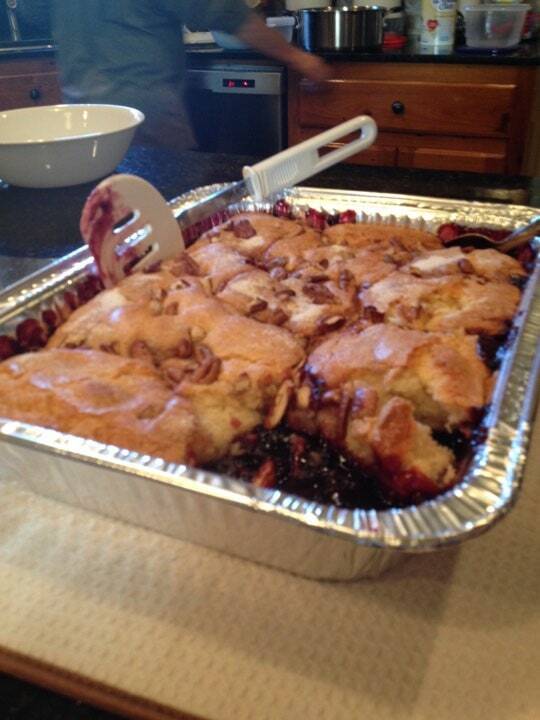 Filing: In a sauce pan combine the blackberry, sugar and corn starch. Start to heat on high to heat through, then lower to simmer and cool for about 10 minutes. Stir frequently. then stir in the butter and vanilla flavoring. 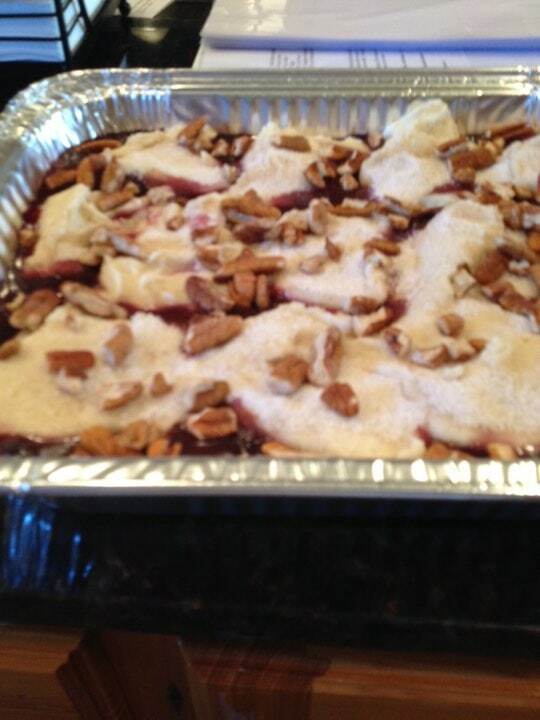 Pour the blackbery filling into a 9×12 glass baking dish. Dough: In a bowl combine all of the dough ingredients (mix by hand). The dough will be sticky. Drop the dough (by tablespoonful) on top of the blackberry filling (leaving space between each drop). The dough will expand as it bakes. Topping: In a small bowl combine all of the topping ingedients and sprinkle over the dough. Bake in a preheated 350 degree oven for 50 to 55 minutes. Number of Servings: Yields about 12 servings. Substitutions: Cajun Power Sweet Treat can be used for the topping in place of the sugar and cinnamon. 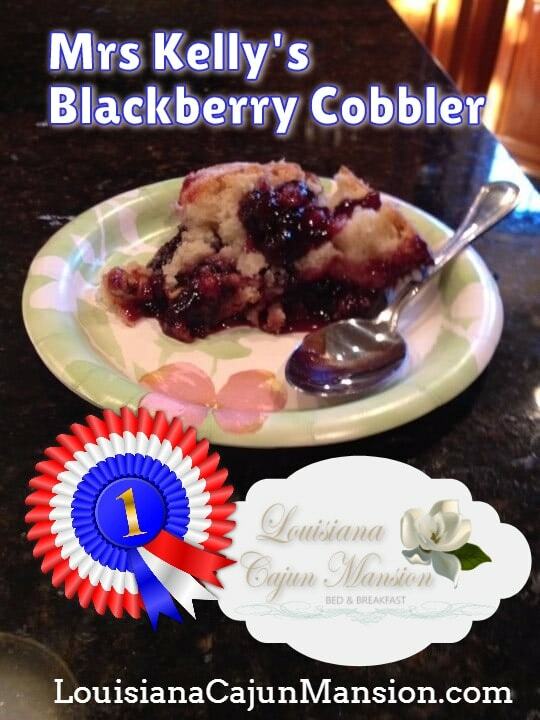 Notes: Best if served warm with a glass of cold or warm milk; add scoop of Vanilla Ice Cream. 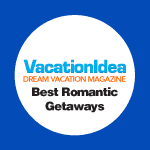 I hope you enjoy our fun and delicious recipes. 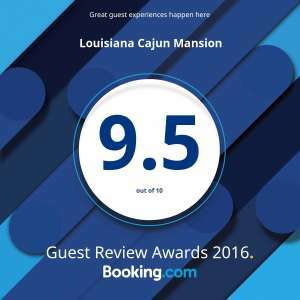 All of them are prepared for our guests at the Louisiana Cajun Mansion on a regular basis. 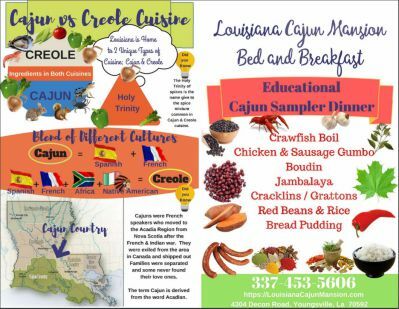 Please, come on down and join us for warm Cajun hospitality, and of course the most delicious food in the world!